Seafood is teeming in the Philippines. 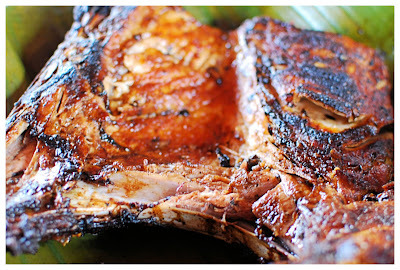 In Siargao island, I feasted on the freshest catch of the day. When I got back to Davao, my brother-in-law and sister brought me to this no-frills, open-air Liza's restaurant on Times Beach where the bounties of the sea reign supreme. It's cheap, it's good, and I'm not supposed to complain. But if this is the way I'm fed while I'm here - including carbs masquerading inside coconut leaves called puso, I'm afraid I'll be gaining weight faster than an American on a McDonald's diet. Yum ! Forget carbs, just enjoy ! love the pusit and the lato salad ! WOW! I can't deny that eating freshest seafoods by the beach is unbeatable! 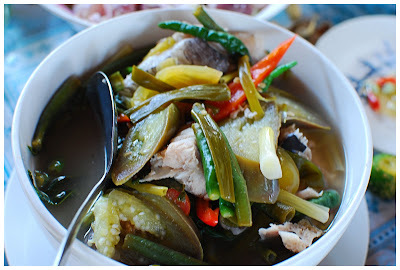 I've experienced the same when I went to Roxas City in Capiz a couple of years ago and am looking forward to savor every bite again at the island on our trip to Boracay next month. I like grilled pusit on calamansi + soy sauce. Hmmm... Looks like you're really having a great time; good for you! langya pards..ginutom moko dito...wahhhhh! ibalik nyoko sa pilipinas!!! How cruel can you get?!! I am salivating to death now upon reading your post... Eating these types of food would cost an arm and a leg here in Singapore. oh my pusit; maybe i should get some and grill it this weekend. my mouth is already watering. I used to go to Davao on job assignments in the early 60s. Is Insular Hotel still around? How about Brokenshire Memorial Hospital? Where is Times Beach in relation to either one of these places? Nakakagutom naman yung iba't-ibang seafood ninyo! Talagang paborito ko lahat 'to. seafoods i love it! I went straight for lato salad because I never see it in NY. You'll have plenty of restaurant hopping to do in Boracay. Would like to see your posts on that next month. Nung nasa Jeddah naman ako, maraming pagkaing dagat kaya ok lang. You had plenty of seafood too when you were in Bali, right? I didn't know it's very expensive in Singapore. 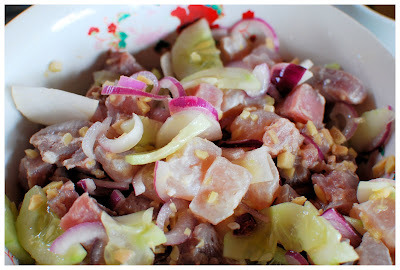 Like lato salad, kinilaw for me is a great starter to a big meal. Baka nakapagluto ka na by the time I type this. Hope you grilled it to perfection. Nakaka-impress naman ang memory mo Bert! Insular Hotel is now Waterfront Insular Hotel. Brokenshire hospital is still around. Times Beach, in an area behind SM Davao, used to be the poor man's beach which is quite far from the two you mentioned. Now everyone's going to Samal island just infront of Waterfront Insular hotel. Yum! Dennis!!!! it looks soooo delish!!!!! I LLOOOVVVEEEE seafood!! 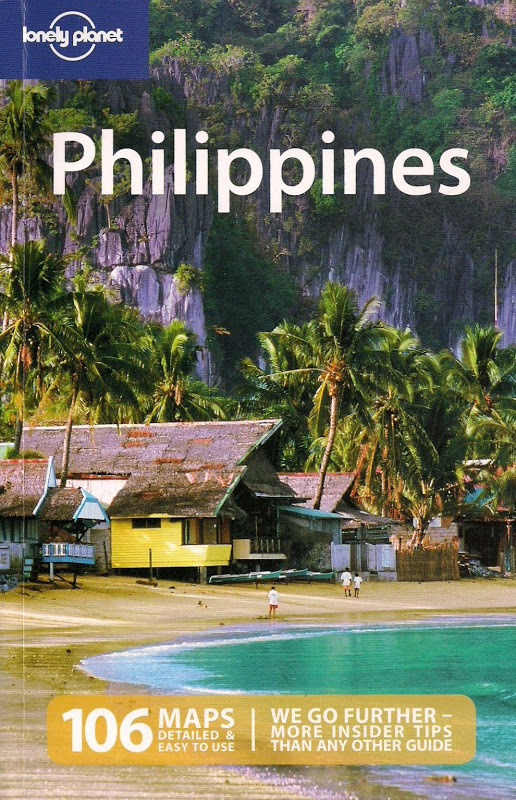 You have GOT to include me in your next trip to the Philipiines! Love that Puso. Actually Puso is also available in my country...Malaysia and it's called as Ketupat. 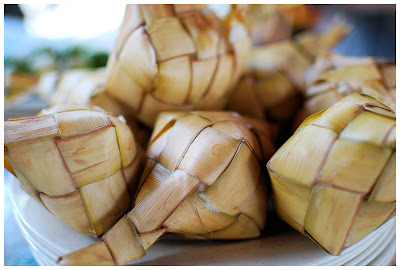 Ketupat can be abundantly found during Hari Raya in Malaysia. However no wonder about this food as Malaysia and Philippines are actually related to each other especially the languages and people.